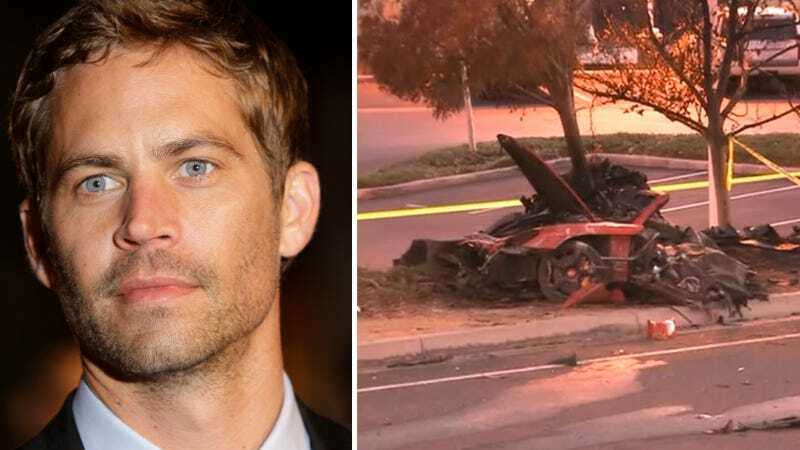 Was Paul Walker's Deadly Crash Caused By Street Racing? As both the car community and Hollywood continue to mourn the death of actor and gearhead Paul Walker, authorities in Los Angeles are tasked with investigating exactly what caused the crash that killed him and driver Roger Rodas. Now one official says street racing may have been a factor. Update: Police now say street racing was not a factor and have ruled out the involvement of a second car. Earlier: CNN reports that investigators received a tip over the weekend that another vehicle was at the scene of Walker and Rodas' fiery crash. Los Angeles County Sheriff's Sgt. Richard Cohen told CNN that "Naturally, from an investigative standpoint, we need to find out if (street racing) is one of the issues," he said. An undamaged yellow Honda S2000 was also spotted at the scene of the crash in this CNN video, but it is unclear at the moment whether it is related to the incident in any way. Sources connected to Always Evolving — the shop co-owned by Walker and the Porsche driver Roger Rodas — tell TMZ they saw evidence of a fluid burst and subsequent fluid trail before the skid marks at the accident scene. The AE sources point to the fact there is a noticeable absence of skid marks until just before the point of impact. They say if Roger had lost control the skid marks would show swerving, but instead the marks were in a straight line. They feel this cements the theory the driver didn't have steering control. Also suspicious — the fire spreading so quickly in the front of the car. The sources say flames would be expected in the rear where the engine is ... but fire in the front reinforces their theory of a fluid leak of some sort. It's important to note that this has not been confirmed by police. Heavy flames prevented a rescue attempt, authorities have said. Jim was at the event when he heard a loud bang and saw a cloud of black smoke. “There is a special effects building behind Always Evolving, where the even took place, so lots of people thought that the noise was coming from there, but in my gut I knew it was Paul and Roger,” he said. While Roger is a race car driving (sic), the accident had nothing to do with racing. “Roger lost control of the control. They didn’t spin or anything. They went into a tree. They hit four trees and took a big light pole down. The light pole came down and the car bounced off of it. And then they crashed into a tree, that’s what eventually stopped the car,” Jim said. Personally, just because I'm a fan of Walker's, I'm hoping that racing will be ruled out as a cause of the crash. Street racing is never okay and I'd hate to see it be the thing that claimed Walker's life in the end. We'll update this story as we get more details.